Lieutenant Scott Sears (Royal Gurkha Rifles) has become the youngest person to reach the South Pole on his own and unsupported in only 38 days. He reached his destination on Christmas Day after negotiating 700 miles+ of Antarctic plateau, crevasse fields and glaciers. The 27-year-old officer has raised over £30,000 for The Gurkha Welfare Trust and schools destroyed in the 2015 Nepal earthquake. 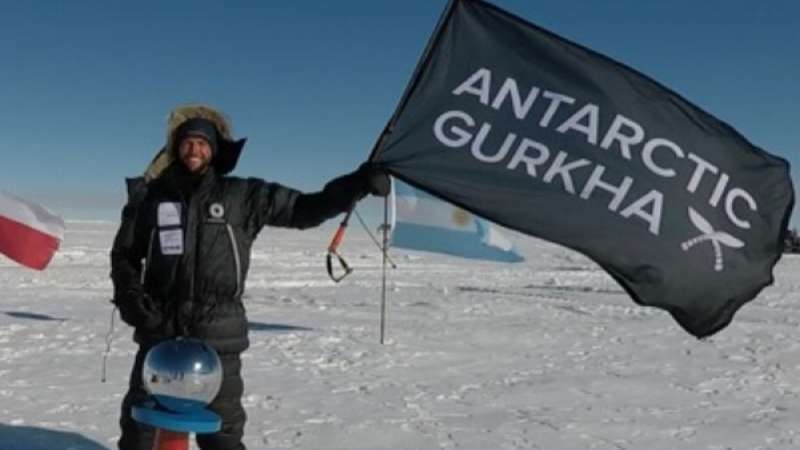 Scott is from the First Battalion Royal Gurkha Rifles was attempting to break the record for the youngest person ever to reach the South Pole completely alone, unassisted and unsupported in an effort to raise £25,000 for the Gurkha Welfare Trust. You can track Scotts Progress. We have added some images from his trip so far but you can read his daily blog on his website. Born and raised on the South coast of England. From a young age my family constantly had tennis players sleeping on our couch, this clearly appealed to me as I took up the game seriously at the age of 11. After 5 years on the international circuit (and a lot of sleeping on peoples couches), I called time on my assault on the professional game, and headed to the USA on a tennis scholarship to Boise State University in Idaho. He spent four incredible years in Boise where he fostered a second dream of becoming a Country music legend, sadly this was an astoundingly short lived dream when it became evident he could neither sing or even master a single chord on the guitar. It was during this time that his passion for the outdoors unleashed on the playground of the Pacific Northwest of America, and he began Mountaineering with the American Alpine Institute whenever my tennis commitments allowed. He had wanted to join the Army ever since he was a little boy, and when his tennis career had ended he knew that was where his future was. He commissioned into the Royal Gurkha Rifles in December 2015. He states; “Serving with the Gurkhas has been one of the most special experiences of my life. They are some of the finest soldiers in the world but also some of the most likeable. I was fortunate enough to be posted to 1 Royal Gurkha Rifles based in the not so Polar regions of Brunei, we returned to the UK in the Summer on 2017”. Once in Punta Arenasin Chile it will be a waiting game for a weather window to open up long enough for us to jump on board a monstrous Ilyushin IL-76 transport plane, which will drop me at Union Glacier. The waiting will begin again for a last trip in a small twin otter plane that will take me to the start point at Hercules Inlet, this is where the sea ice meets the land mass of Antarctica, from then on, it’s just 1100 short kilometres to the Pole. The first days of my journey will be amongst the most dangerous, the ice outside of Hercules inlet is riddled with crevasse fields which are disguised by a sometimes perilously thin layer of snow hiding the horrors beneath. Travelling solo means he will be without the safety of being roped up to a teammate who can halt a fall. His skis will spread his weight across the ice, which will help protect him from breaking through the surface. The unpredictable weather in Antarctica can result in white outs for days and even weeks at a time. Past the crevasses he will ski in blocks of two hours at a time for 10 hours a day. 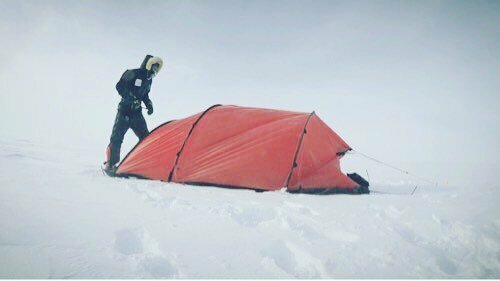 During that time travelling up to 25 miles a day in perfect conditions, but the 200mph winds in Antarctica have left their mark on the landscape and carved rigid Sastrugi into the ice which can slow him down considerably. 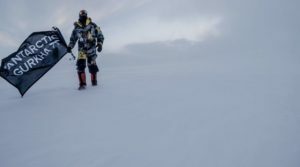 Trudging the 1100km and gaining 3000m in elevation, the equivalent of 100 eiffel towers, can take anything from 30-60+ days but he is aiming for 45 days to make it to the pole. .